When a customer, employee or potential recruit walks into your facility, what do they see? Is the space inviting or inspiring? Does it express your company’s culture? 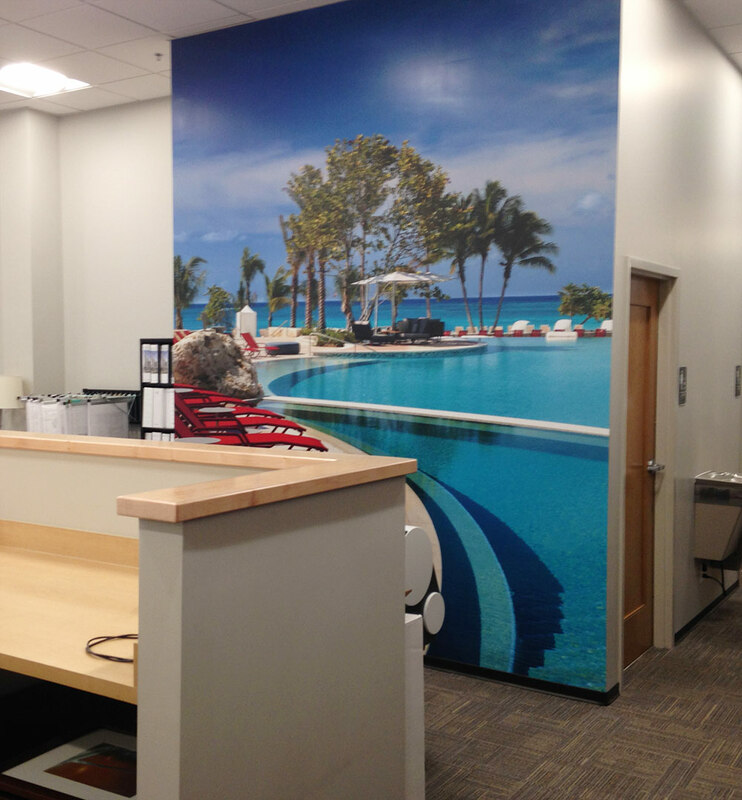 If you have bare walls and windows in your office building, plant or visitor’s center, you have an untapped branding opportunity. It’s time to do something. Think of your space as a blank canvas. 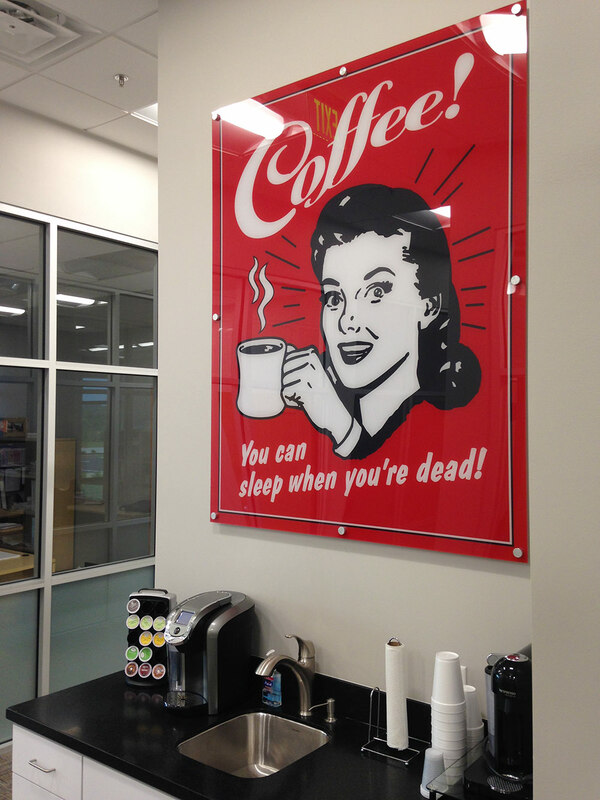 Use it to engage your employees and customers, with branding and large format custom graphics. Besides making your environment a more exciting place to work, experiential branding draws people into the story about your company, connecting with them on a personal level. Once you figure out what your message is, and where you want to share it, we can guide you through the process of bringing that story to life. We start with a briefing and walk-though of your space, for a shared understanding of your audience/message, and then assess the physical/operational challenges and space parameters. This sets the stage for next steps— collecting your graphic assets to determine what’s available and what requires a new on-location photo shoot or stock search. From there, we can dial in on your budget and develop timelines, design concepts, production specs and installation requirements. We start by developing rough concept options, showing you how an image will look in a rectangular or die-cut shape to fit the display area. We refine the selected image to include all content details (for example, messaging, logos or icons). With content finalized, we create a hi-resolution print-ready art file for final proofing before going to our manufacturing partner for printing/finishing. 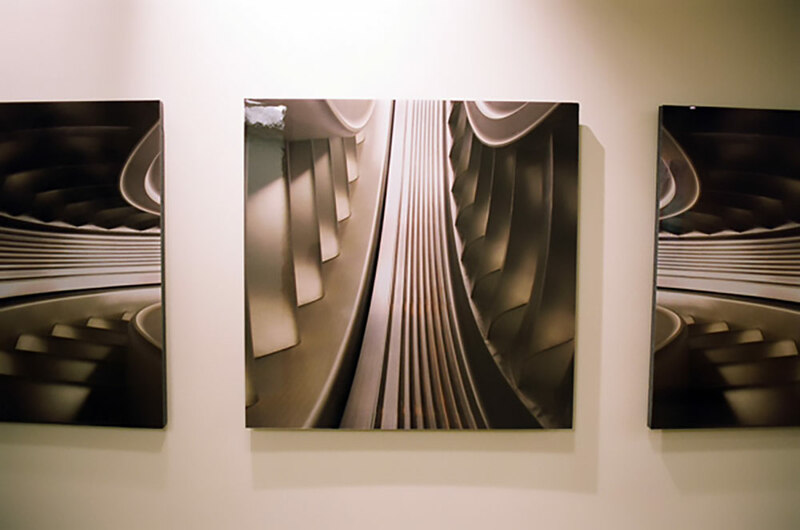 There are multiple materials for printing large format displays. The design, size, number of images, budget, and physical properties of the building space all influence our recommendations. We’ll share similar display examples and material samples to give you an idea of the look & feel we envision, followed by a printed swatch proof of the final art on the selected material before we print the full image at the enlarged size. This ensures the reproduction quality and finished look meet your expectations. 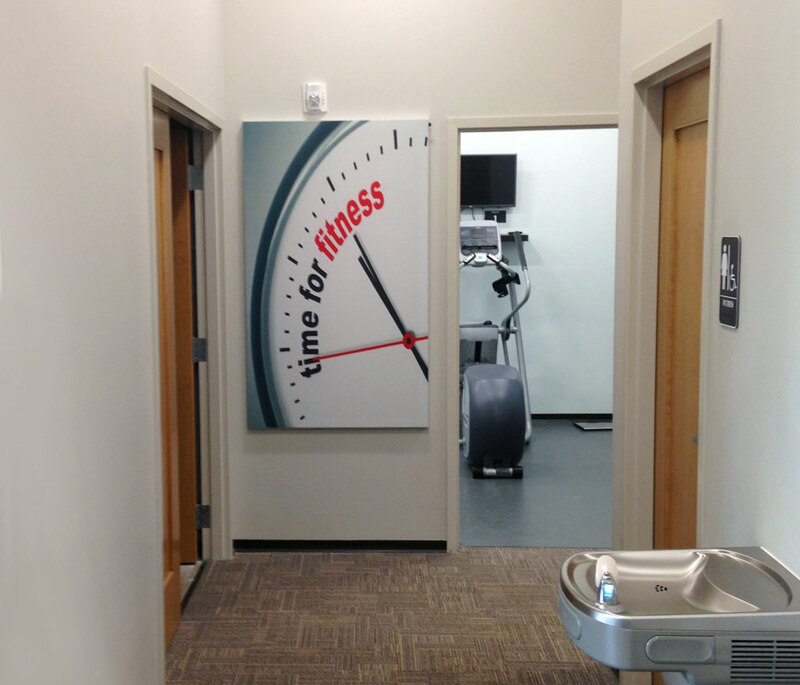 Once the printing/finishing is complete and the framing/mounting hardware inventoried, we manage the installation process, coordinating schedule availability, safety protocols and machinery/equipment needed, to ensure your day-to-day operations aren’t disrupted during installation. 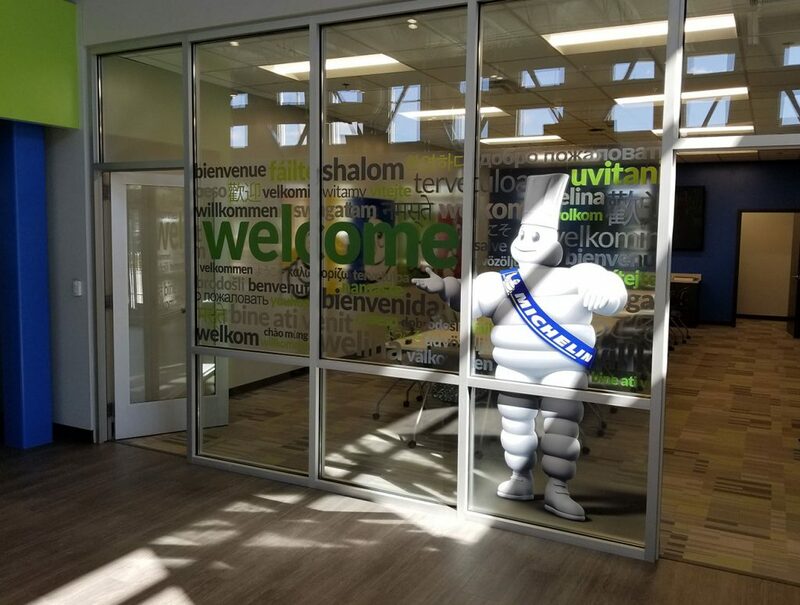 Our goal is to provide you with single sourcing from the beginning of your display project through its completion, so you can focus on what you do best. What’s your story? Can’t wait to hear it! The new MARC Café welcomes visitors from all over the world. 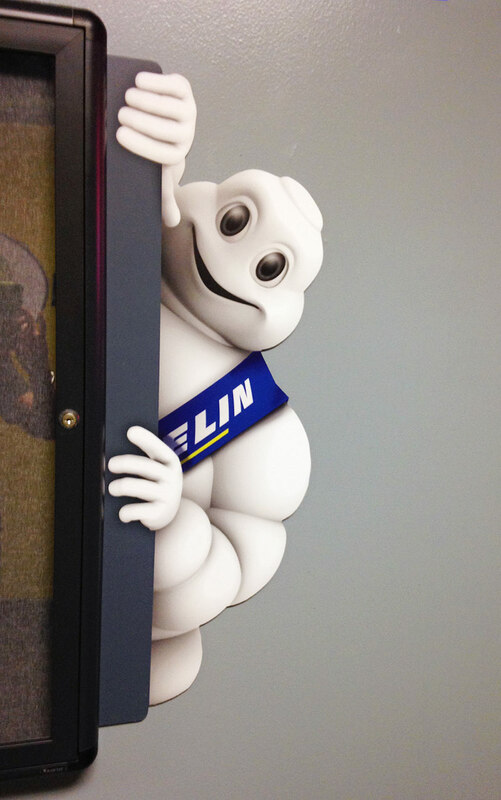 Adding the Michelin Man to an employee bulletin board calls attention to the latest news. 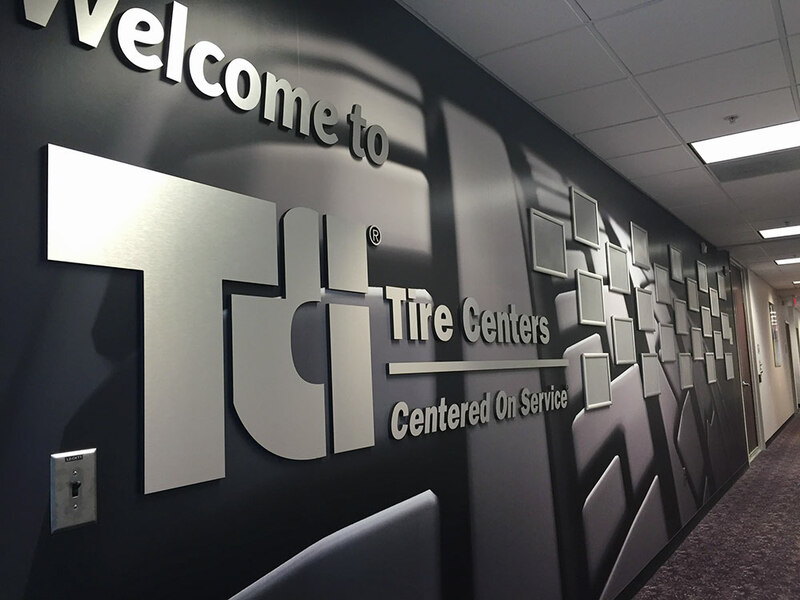 Our design for TCI Tire Centers HQ lobby welcomes visitors, reinforces the TCI brand identity and updates the décor. using shadows, shapes and colors to create works of modern art. 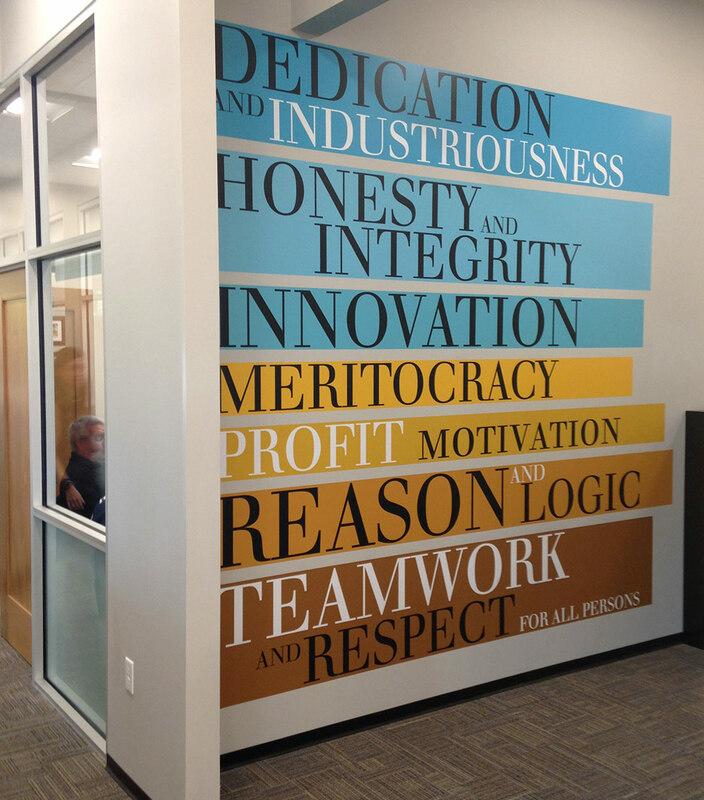 to create a fun work environment and express company values.